We are only 2 hours from central London by road or rail. 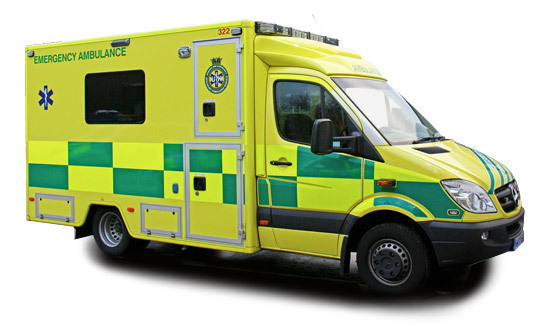 To Become an ambulance driver you will need a minimum of a C1 licence due to the weight of the vehicle you will be driving. When an ambulance is loaded with equipment and patients it often falls between 3.5 and 7.5 tonnes. You will need excellent driving skills as you will be transporting people suffering from injury, poor health or frailty, so operating your vehicle in the safest possible way is of the up-most importance. Our experienced instructors will train you with the appropriate skills to operate your vehicle safely and acquire your C1 licence. How long does the ambulance driver training course take? Training courses are Monday to Friday 4 hours per day or intensively over three days as required, you will then be ready to take the DVSA driving test. Although LGV licences appear to be staged C1, C, you can go straight to cat C and get a better licence without having to do C1 first. You can drive minibuses with 9 to 16 passenger seats from age 21. 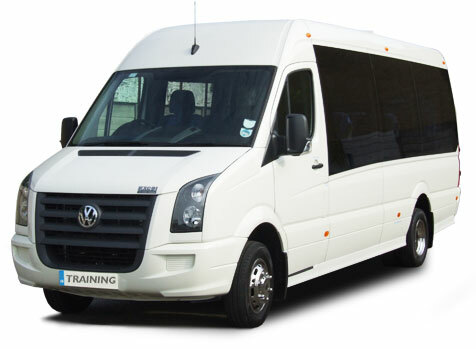 The D1 driving licence is a legal requirement for those driving most types of minibus on school business. If you passed your car test after January 1997 you are not entitled to drive a minibus without taking an additional D1 Test. If you hold an ‘acquired rights’ car licence issued before January 1997, and have category D1 you will still need to apply as a new applicant if you want to have the restriction code (101) removed. Car drivers with acquired or grandfather rights category D1 will need to take 35 hours of periodic training to maintain the acquired rights! Schools, Academies, Colleges and any other organisation operating under a Section 19 or 22 Permit may be excluded from the legislation.